Compared with other solids control equipment, centrifuge price is higher, as well as the higher cost on maintenance and manpower cost. As the centrifuge is not working during all drilling operations, some drilling company only rent the centrifuge when they need it. For short terms, the rental service is helpful to drilling contractors, saving cost, time and saving works. But from long terms, rental centrifuge will lead to higher cost, not as cost-effective as having it’s own equipment. If the drilling company have many drilling rigs, and the drilling operations will last for many years. Having their own centrifuge will be much better. GN Solids Control is China leading centrifuge manufacturer, can sell centrifuge to client or rent centrifuge to client in some area with GN office. GN can offer middle speed centrifuge, high speed centrifuge, fixed speed centrifuge or variable speed centrifuge, motor drive centrifuge, hydraulic centrifuge etc. If the client have enough budget, we recommend 2ea VFD centrifuge for each rigsite. The VFD centrifuge can work flexible at any bowl speed, conveyor speed or differential speed, to achieve the best performance. If the client budget in tight, we recommend 1ea VFD centrifuge & 1ea fixed speed centrifuge. The VFD centrifuge can work as flexible role and the fixed speed centrifuge can lower down the total cost. Even the fixed speed centrifuge can change speed, by replacing pulley with belt, just taking more time and more manpower than VFD centrifuge. 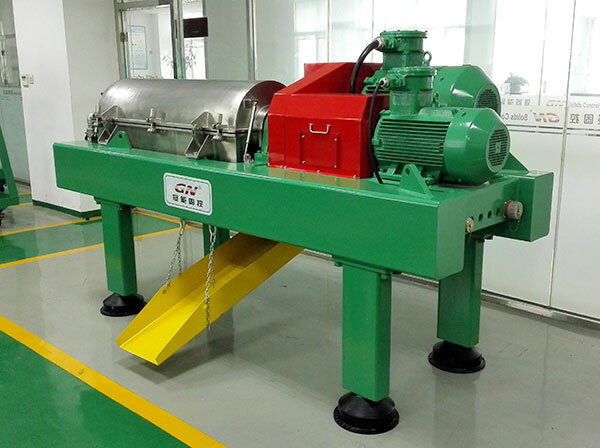 If you need more information about decanter centrifuge, pls contact us freely.